On our planet Earth every living thing gives birth and are parents to their off springs despite of that “Parenting” has always been a topic of discussion, as every parent always faces many battles to become decent parent and take all the decisions in favor and for the long term benefits of their loving kiddos. Parenting can never be good or bad or perfect or imperfect, it is all about having that bond of love, care, attention and most importantly connection with your kids. Remember in hunt of being the perfect parent do not miss on to be “real parent” to your babies. Our kids don’t learn from what the school teaches them, in-fact they learn the most from what they see in us. We are the best living examples for them. In the further few lines you are going to understand some tips and tricks of being effective parents. We certainly acknowledge the fact that implementing all is not quite possible but at the same time we should not leave hopes, as long as you make an effort your goals are always achieved. MODELING – The best way to teach your kiddo is to imitate things that you want to make your children learn. Be it eating etiquettes, body postures, certain manners or anything. We the human species are born actors and we are pretty good at it. We not only enjoy imitating others in-fact we learn the most by it. And kids are actually wonderful observers, whether you know it or not your kids are always picking up a lot of their day to day behavior from their surroundings; without being taught or asked to just by seeing what’s happening in the vicinity. So be careful about how you are behaving in the presence of your kids as these little live cameras are recording all that we are doing and keeping this safe as a memory with them, and will certainly recreate it in the near future. Be loving , caring, kind, show respect and empathy towards them and to your surroundings, so that these qualities are automatically incorporated in them. Loving – Let the little darlings know how much you love them. Love can make wonders for all of us at any stage of our lives, and especially in the tender ages it works like magic. It is a total myth that by giving to much of love to babies one spoils them. The fact is that when true love is over shadowed by indulgence of materialistic goods, fake images, over seeing their negatives, being over protective and adopting a careless behavior towards their wrong deeds just because they are young; all these conditions spoil your child. Loving them here refers to spending quality time with your children, instead of trying to compensate it with gifts and materialistic goods, expressing your love in hugs, kisses and cuddles, and most importantly being there with them when they need you and developing that understanding when they can come and speak to you whenever they want and need to. Scientific studies say that by adopting these measures with your kids you can bring them to a state of calmness, ease and satisfaction, which are all base of a firm adulthood. 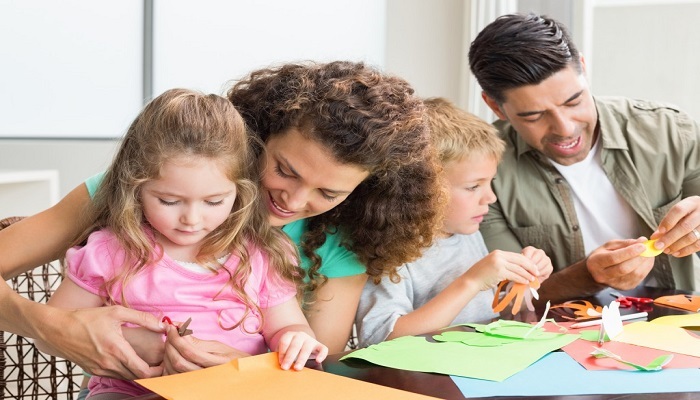 Positive Parenting – You will be astonished to know that when we are born there are about 100 billion cells of the brain which have comparatively weaker connection among them. But as we grow old, in the journey of our lives whatever we see, hear, observe and conclude from our surroundings make the connections among the nodes of our neurons get stronger which result in becoming our concepts, thoughts and together take the shape of our personality and trades. The idea of stating this fact to you is to let you know that always try to create an ambiance of positivity for your kids which will help them to observer this positivity in their personality and will face all the future challenges in life with an optimistic approach. And at the same time the kids who are bought up in negative surrounding actually thrive for their dreams as in most cases, they aren’t able to prepare themselves for their passions. 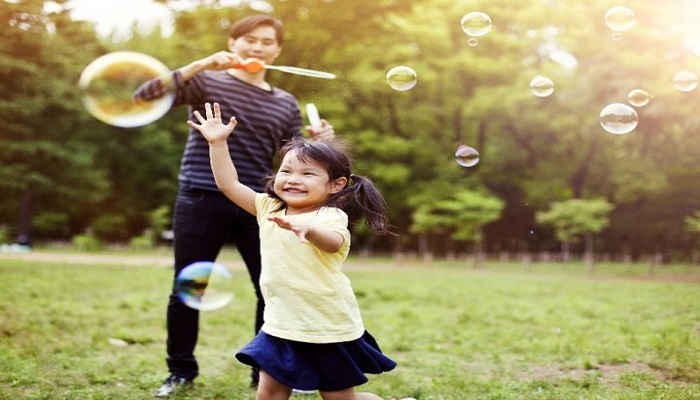 The more easy-peasy time that you spend with them at home, in parks and in their play area the better you will be able to solve their queries and worries which as a result will help them to make beautiful childhood memories and create a strong connection with you for a life time. Looking at disciplinary measures it is always advised that affirmative discipline must be practiced with young minds and tell the importance of discipline along with the lessons of morals. Set a clear rule book for your kids where they know what they are expected to do and how you want them to behave, setting rules make the picture clear for them. Remember there will be times when you ought to be firm with them, as this firm attitude will give a message of being a observant parent. This behavior will make your kids be better prepared for future. Be their best friend– Always make your kid have that strong belief that you are listening no matter what. Tell them that they can come and speak their heart to you and you will always appreciate their stories and fantasies, the thoughts that they share with you are what is going on in their mind and by listening to them you can always suggest the required solutions and measures. Studies say that responsive parents facilitate their better emotional, social and mental growth and development. Integrating and involving – We all very well understand how important it is to communicate. The most important part of communication is that it should always be two way; that is make sure as parent you are not only telling them about things, but are also listening to what they have to express. If the traffic of communication is two it will end up in a smooth drive and will escape further jams in the relationships. By communication, a parent also helps his ward to align all the parts of brain. Integration can be best understood with the example of our body where different body parts coordinate with each other to make one healthy body. If all the brain parts, be it emotional, reasoning or logical sides are in harmony with each other it will result in a healthy, understanding and cooperative behavior which is empathetic to surroundings. In order to achieve that, make it a habit to hold free conversations with your kids, ask them about their day to day schedule and what their plans are, this will benefit them to integrate their memories, thoughts, and further plan of actions for future. Reflecting – At our initial days of parenting most of us always plan to adopt different measures of parenting as compared to what our parents adopted for us. Even if we had a comfortable and joyous childhood we want our children to be brought up differently, but the irony is despite of these entire plan we land up doing and saying exactly what was done and said by our parents. The best way of adopting parenting is to refer to your own self. Start by observing your own personality and also make a parallel list of what you want to change or improve in your personality, then connect it to real life and make a real time step wise measures how you can help your child to escape the “not so good things” that you have in you. Keep one thing in your mind that bringing change will be pretty tough, there will be failures but don’t give up, keep yourself firm and keep moving in the direction of being a good parent. 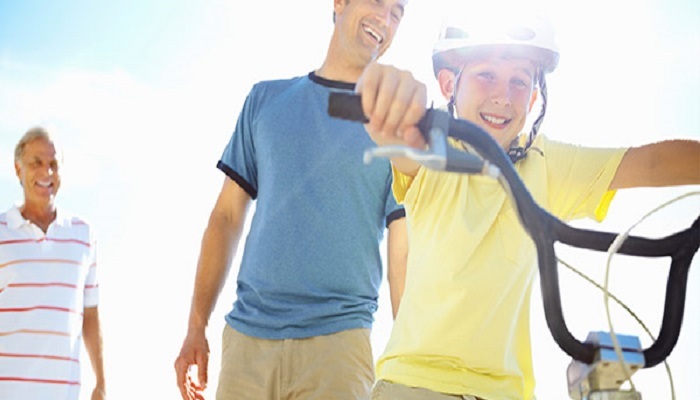 Your happiness – While striving to be a best parent, don’t overlook your personal fitness and wellbeing. It is often observed that in the attempts of being good for our children, we overlook our own self and our relationship with our spouse, this is not a healthy measure for both your emotional and married life, as your spouse also seeks equal amount of love, care and emotional support from you. Make it a point to maintain a healthy balance between your own health and well being and your family life as any kind of imbalance among the two will result in sufferings of your babies. 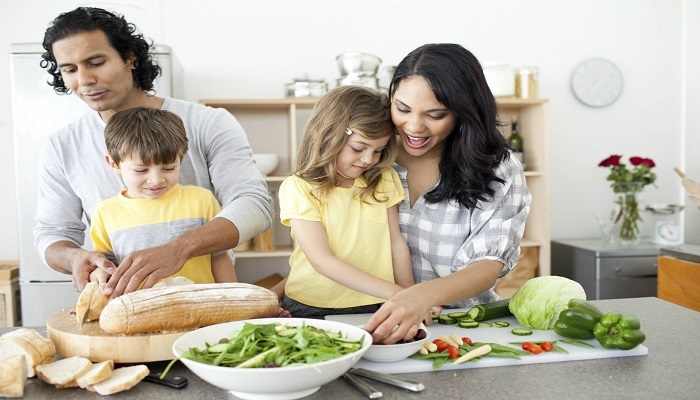 Also ensure to spend and shower loads of love and care to your spouse as without the support of your spouse your drive of healthy and happy parenting is incomplete. No Spanking – There is an endless debate about the fact that what degree of punishment shall be given to kids in times of miss behavior, miss conduct and mistakes. Many parents find spanking as the most long lasting , easy yet firm and fulfilling measure to improve their wards wrong deeds. No doubt there are times when we loose patience and tend to bash the kids for their betterment but we cannot deny the fact that by hitting them we only tend to push them away from us. It also makes your child get inclined towards violence. The kids who are been beaten in their childhood are observed to resolve their issues by fighting and hitting their pears, they also are observed to become violent in future ending up as antisocial or criminals by nature. The children who have faced violence in their childhood have reported to have problematic relationships, mental disorders and emotional imbalance as result an overall problematic life. So instead of adopting short term solution of hitting and punishing your ward, try to adopt better measures, as suggested in some tips above. Keep Perspective – As a parent set your goals and be sure about what you expect; from your children. If you fall in the category of being a regular parent your expectations will be no different from other parents who want their kids to be academic achievers at school, be sports leaders, perform well in extra activities, be accountable and empathetic towards all around, have respect and belief in relationships, they must be loving and caring to friends and families enjoy happy and healthy life and a never ending list of being goodie good. But the question out here is that what is your contribution in achieving this long list of “MUSTS”. The answer is that most of the parent only focus on the current day and spending it. So in life whenever you face circumstances of stress and tough times take a step back. Instead of just sitting back and analyzing that how irritation can affect you, divert your energy and thoughts towards the positive things, how you can make your child realize the importance of positivity. The worst of times can be easily won just by having an acceptance towards them and keeping a positive thought process. It will also strengthen your bond with your kids as their master problem solver, which is the prominent goal of being a parent. Take the alternate way – Here it refers to acknowledging the facts that are previously recognized and proven by the scientists. Parenting is amongst the most studied and discussed topic in psychology. There is a long list of traditional parenting skills that have been researched, refined, tested and even proven wrong. In order to discover valuable and approved parenting tips one of my strongly recommended website is ‘Parenting Science’. Please make a note of the fact that we all individuals are very different from each other and so are our kids. Their needs are obviously different so don’t’ just rely on any one title for the parenting feed backs, adapt and trim these tips as per you and your ward’s For example there are kids who work by strict deadlines and there also kids who work by love and cuddly talks. There are the ones who need a temptation of some kinds of extra perks of new gadgets, extra play time etc and there are a few who would be pleased by there favorite food. So you choose what measure you want to adopt and just rock it..!! Take pride and Enjoy every moment of being a parent..!! This article on parenting is just one article writing sample by our expert article writer. If you wish to get articles on parenting or other categories then contact us. Our article writing services are exceptional in a manner that they offer high SEO rankings with attracting visitors as well. Google Cloud Data- All new amazing feature of Google!